I am a founder of an early stage ed tech company looking to gain visibility of my product outside my home state. Attending a big conference seems like a promising way to do this. How can I make the most of my time there? Not all conferences are created equal, so it’s important to understand your audience then plan accordingly. 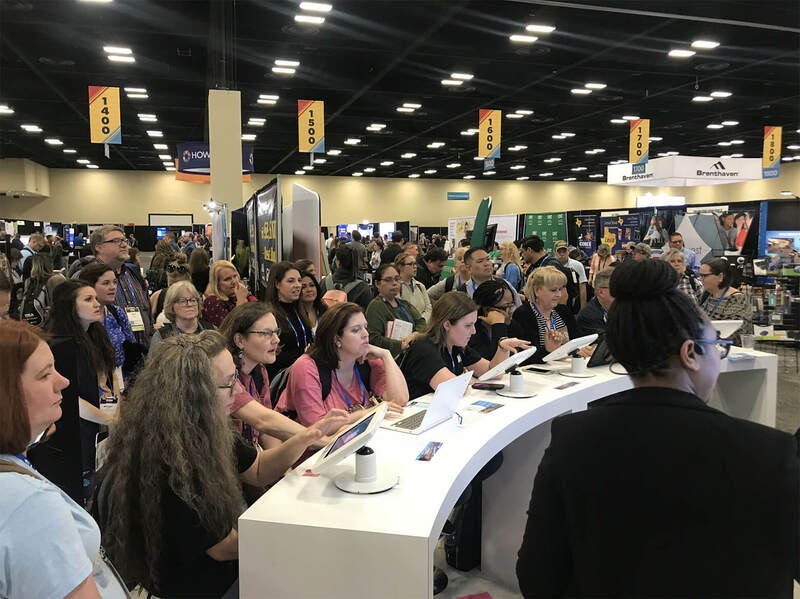 If you’re attending a smaller, more administrator-focused conference, your strategy will be different than if you’re exhibiting at a big teacher-focused conference. First, we’ll focus on planning a presence at the big teacher tech conferences like ISTE, FETC, CUE, and TCEA. 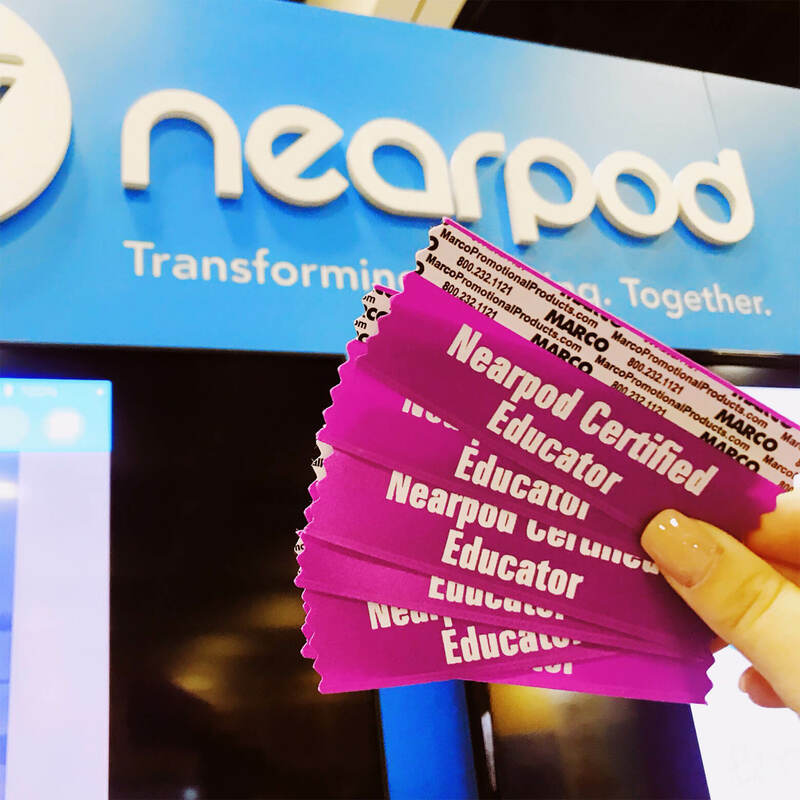 Connecting directly with current and potential users at conferences has been a big part of Nearpod’s marketing strategy for years now, and we have seen great returns on this investment. Most of the shows are able to share the event attendees list beforehand. Make sure you take advantage of this information to “study” your audience and send out onsite meeting invitations to prospects or just to make an introduction of your product/service and invite people to stop by for a swag. It is important to select a spot that will bring a lot of traffic for your booth. The spots next to entrance and main hall are the most popular options. Signing up early for the show will give you more flexibility to choose as they usually are distributed on a first come first serve basis. Another important thing to consider is the design of your booth. You’ll want to create a space with good flow flow of traffic where attendees are able to interact and experience your product. Face to face marketing can be hard and trade shows can be exhausting. Make sure your staff is ready for good conversations and can carry a positive attitude at all times. You will have a very short period to make a great impression. It’s helpful to have a preparation meeting (or a few!) with all staff who will attend to talk through the days and unify on the message you want to send about your product and your company. 4.- Be the fun booth! Swag, collateral, and activities go a long way. 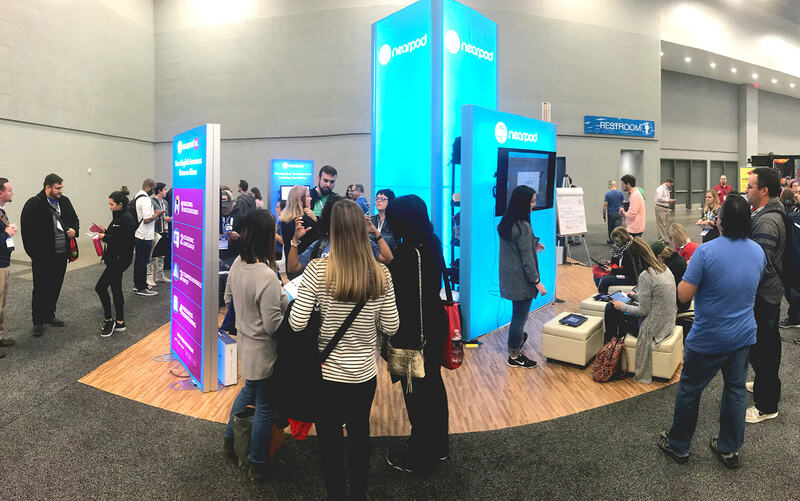 Attendees have been walking around the conference hall talking to sales reps standing behind tables all day – make your booth different and interesting for people to stop by. Having games and raffles is a fun way to shake things up and get the crowd excited. A genuine testimony from a passionate user of your product is worth more than a hundred emails from your sales team. Encourage your top users to apply to present at conferences, and support anyone who does so with presenter packs. 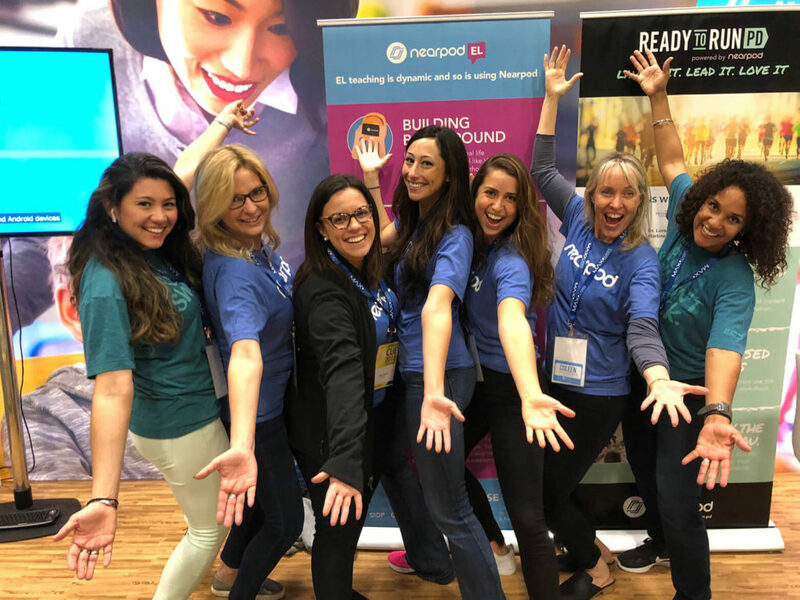 Providing swag, coupons, or even a stipend to offset their conference registration fees makes your advocates feel supported, encouraged, and connected to your company. Their sessions are likely to draw bigger crowds and make a more genuine impact than a product demo. For more details on empowering your advocates, see our post on Ambassador Programs. In the case of business conferences (like ASU-GSV), which are great for business development and investor relations, the same principles hold true. Be conscious of your message (product, business strategy, etc) and coordinate with everyone on your team attending to create a unified message. Make sure to schedule meetings with key contacts ahead of time. Write a “follow-up” email a few days after coming back from the conference with major take-aways and action items. Everyone has a packed schedule so summarizing the meeting and agreed next steps will go a long way. Make sure to leave time for serendipitous get togethers. Like most things in life, many of the most valuable relationships and conversations develop out of chance and with no previous planning. The difference between wasted time and a successful conference experience really does come down to preparation. Prepare well, and conferences can be a productive way to connect with users, create new opportunities, grow your brand awareness, and even energize your team. Going into the event with a thorough game plan will allow you to be present, seize opportunities, and make the most of your time there.